It is an international Religious and Missionary Family of about 1,000 priests and brothers, 900 sisters and lay people consecrated to God for the mission. They are particularly oriented towards the evangelization of the non-Christians with the approach of Proclamation and Human Promotion. The Consolata Missionaries have their missionary efforts mainly inclined towards the poor and marginalized populations in society around the world to improve their living conditions through provision of health care, education, food production, skills training, clean water, humanitarian aid during emergencies, infrastructure, etc. Nevertheless, the primary goal of the Consolata Missionaries is to strive for their own sanctification and the sanctification the whole humankind. The Consolata Missionary Congregation (of Priests and Brothers) was founded in Turin, Italy, on 29th January 1901 by Blessed Joseph Allamano, a diocesan priest of the Diocese of Turin. During the years he was the Rector of the Cosnsolata Shrine in Turin he was deeply challenged, under the inspiration of Our Lady Consolata, to found a missionary Congregation which would help in spreading the Gospel to the non-Christians (especially in Africa and then everywhere in the world). For this reason the Congregation assumes the title of Our Lady Consolata (meaning consoled or consoler) whom the Blessed Allamano calls the Foundress of the Congregation. In 1902 the first four Consolata Missionaries were sent to Kenya marking the very beginning of their missionary work. They were Fr. Tommaso Gays, 31 years and Fr. Filippo Perlo, 29 years; Br. Luigi Falda, 19 years and Br. Celeste Lusso, 18 years. This first mission tent was erected in the Central province of Kenya, at a place called Tuthu, currently located in Muranga Catholic Diocese. Pope Pius X on 6thJuly 1909 elevated this independent mission to the status of apostolic vicariate and Fr. Philipo Perlo was consecrated as Episcopal vicar on 23rd October 1909. Due to the many needs of the mission, especially regarding women and children, The Consolata Missionary sisters were also later founded by the Blessed Joseph Allamano on 29th January 1910 in Turin, Italy. They also then joined the Consolata Missionaries who were already in the mission lands for their respective missionary endeavors. In many of the mission and whenever possible the two Consolata Missionary Congregations work together, giving a holistic pastoral approach to the people of God, as was intended by the Founder. After the first mission of the Cosnsolata Missionaries in Kenya (1902), they moved forward to open other missions in Ethiopia (1913), Tanzania (1919), Somalia (1924), Mozambique (1925), Great Britain (1936), Brazil (1937), Portugal (1943), Argentina (1946), USA (1946), Colombia (1947), Canada (1947), South Africa (1948), Spain (1955), Venezuela (1970), Congo DRC (1972), Uganda(1985), Korea (1988), and Ivory Coast (1995), Mongolia (2003), Djibouti (2004). Taiwan and Angola are to be opened this year 2014 and will be the youngest missions of the Consolata Missionaries in the world today. Please I want where are you in the world? I am Chukwu Celestine Obinna from Enugu, Nigeria. 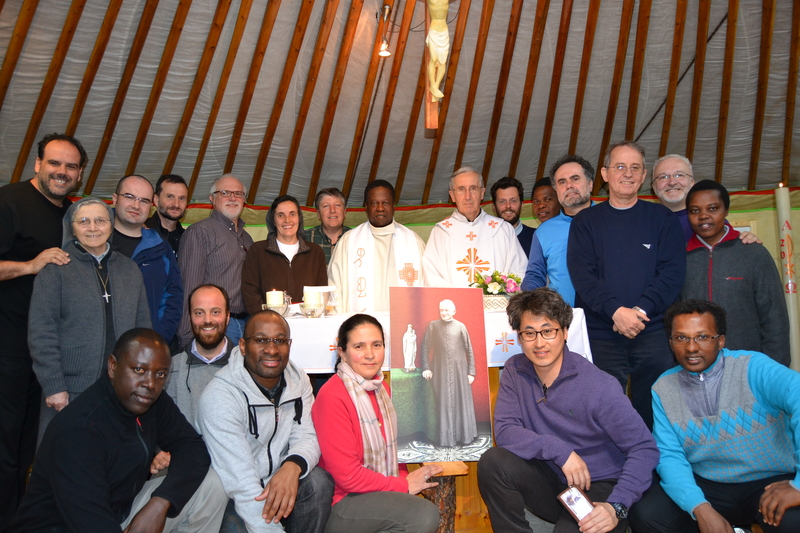 I need the vocations email address of the Consolata Missionaries in Ivory Coast in order to apply. Thanks in anticipations.